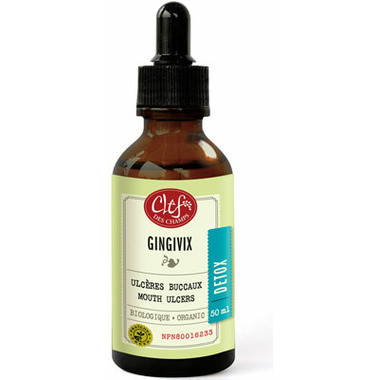 Clef Des Champs Organic Gingivix Tincture is traditionally used in Western herbalism as an astringent and antiseptic to treat gingivitis and canker sores and to help relieve mucous membrane inflammations of the mouth. Cautions: Consult a health practitioner prior to prolonged use or if symptoms persist. Do not use if you are hypersensitive to plants from the Asteraceae family.